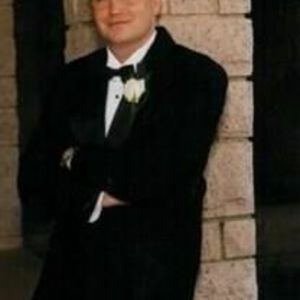 Bradley Dean Bowling, 43, of Cary passed away October 26, 2017. He was born September 12, 1974 to Harold and Virgina Bowling in Burlington, NC. A graduate of Walter Williams High School, Class is '92, Bradley went on to receive a B.S. in Civil Engineering with a minor in Business Management from North Carolina State University. For the past 17 years, he was employed by Priest, Craven, and Associates of Raleigh. On October 7, 2000, he married Ashleigh (Cannon) Bowling. They had a son Braeden Lane Bowling and daughter, Zara Banks Bowling. In addition to his family and parents, Bradley is survived by his in-laws, George and Susan Cannon of Faith, sister Erin Kelly husband Michael, and nephews Carson, Parker, and William of Concord. Also sister Susan Woodard, husband Barry, nephew Will, and niece Meredith of Cary. A memorial service will be held at 2:30, November 5, at Kirk of Kildaire Presbyterian Church, Cary. A reception will immediately follow. In lieu of flowers, memorial gifts may be made to Transitions Life Care 250 Hospice Circle, Raleigh, NC 27607 or Kirk of Kildaire Presbyterian Church, 200 High Meadow Drive, Cary, NC 27511.